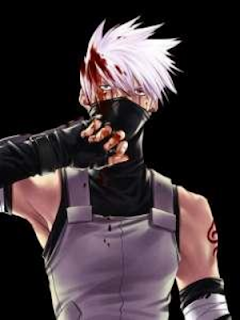 When Kakashi returns to ANBU without so much as a warning, Sakura figures that something must be going on with the Copy Nin and decides to do what she can to help her ex-sensei, in hopes of saving him as he has so often done for her. This self-imposed mission will throw the kunoichi in situations that she couldn't have predicted, forcing her to see her friend in a new light and to question how far she is willing to go for this man. With One Day now over, this is my main project. Expect it to be a rather massive story. I'm really putting all I have into this story and want to make it the best that I can. It's a test of my abilities, of some sort. Though, don't get me wrong on this. This story is by far my most important project. I've put a lot of work into its planning and researching Japanese culture to keep it true. I'm very attached to it and just can't wait to get it done!